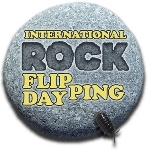 Sunday (September 9) was International Rock Flipping Day, hosted by Wanderin’ Weeta. What is International Rock Flipping Day? 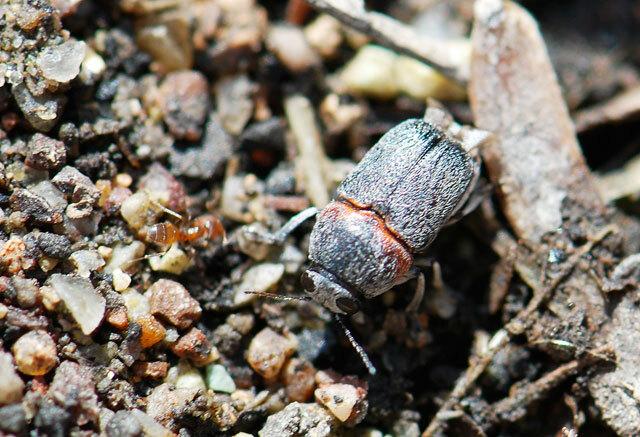 It is a blog carnival to celebrate all those critters that live under rocks, as well as the naturalist spirit that drives us to look a little deeper. How to participate? Basically you go outside and look under a rock or two. Record what you see by drawing, painting, or taking photographs. When you are done, carefully return the rock to its original position. Then report your findings to Wanderin’ Weeta. I usually post the bulk of my finds at my children’s science blog, Growing With Science, because this is a great event to share with children. 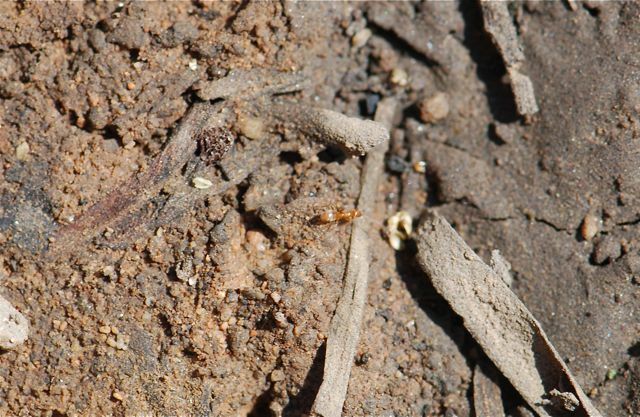 Looking under rocks is also a fantastic way to find ants. 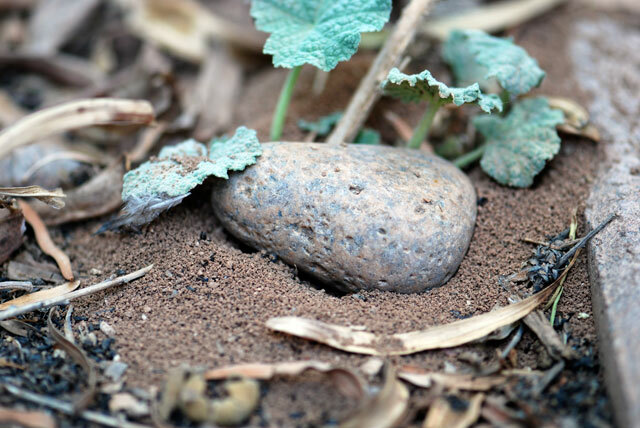 Rocks absorb and radiate heat and/or retain moisture underneath, creating an ideal microhabitat for ants. I sampled a suburban area near Phoenix, Arizona. I wish I could report something new this year, but no luck. It is still good to see some of the same old friends as last year. 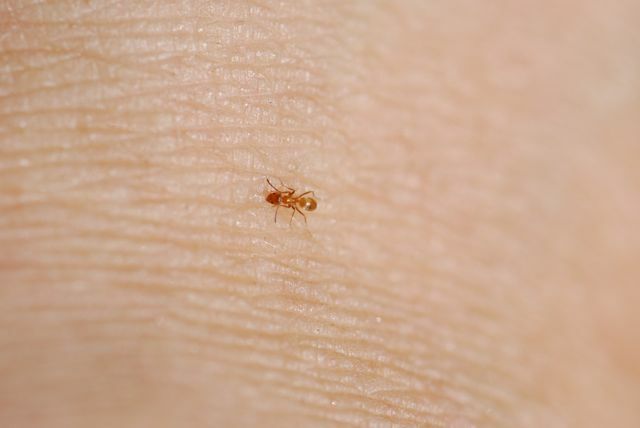 I didn’t even have to flip this rock to know there were southern fire ants (Solenopsis xyloni) underneath. 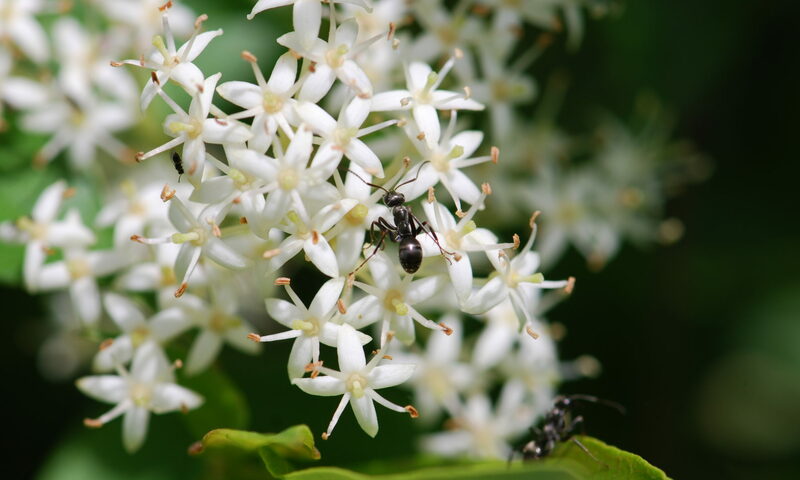 Normally you might not even notice a southern fire ant nest because it is largely underground. 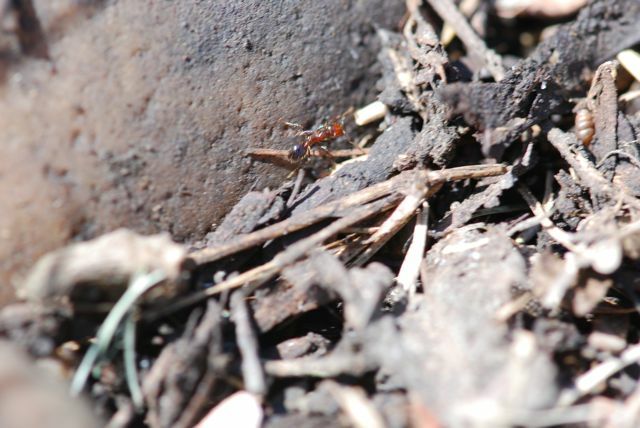 When it has been raining, however, the fire ants tend to announce their presence with small mounds of dirt particles. Characteristically these mounds will have multiple entrances to the nest. 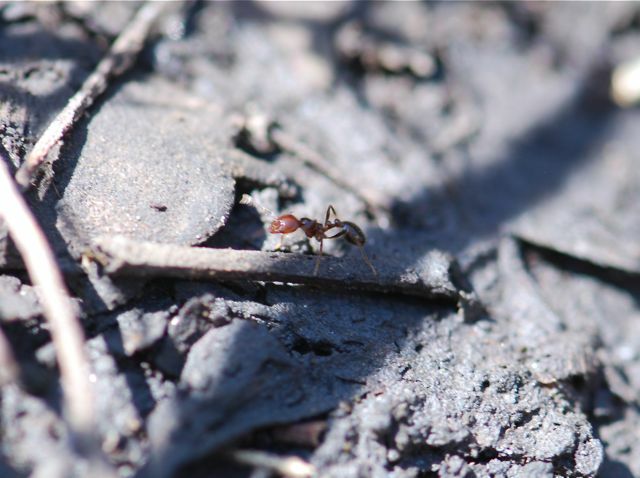 the rover ants, Brachymyrmex patagonicus. Aack, they are everywhere. The sidewalk ants (Forelius) are still doing fine. These weren’t nesting under the rocks I flipped, but were foraging there. 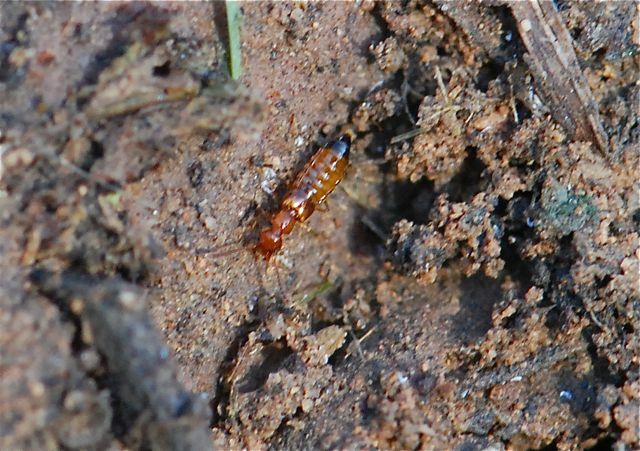 Also, still seeing these rove beetles associated with southern fire ant nests. Maybe I’ll have to find someplace more exotic to visit for next year’s event. How about you? Did you participate this year? What did you find?